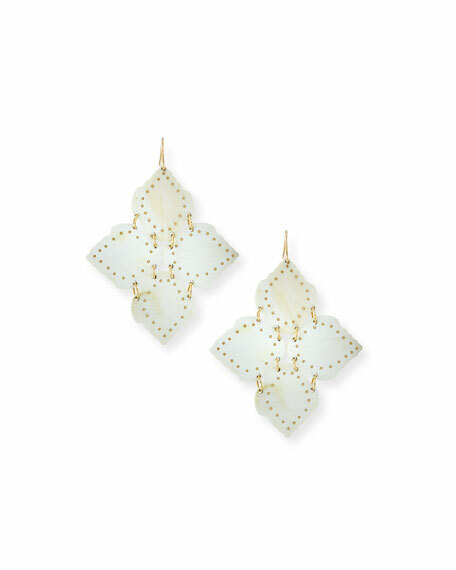 Angalia light horn drop earrings by Ashley Pittman. Signature African horn and hand-inlaid bronze. Four light horn discs with bronze accents. Interlocking drops form diamond shape.